Looking for a completely unique experience in 21st century living? Our apartments near Rutgers University in Camden offer contemporary amenities to help you live in style while you study. Located on Route 70 and near NJ Transit and PATCO, commuting from your apartment to school or work will never be an issue. Rutgers University Camden was founded in the 1920s and originally built as a law school. Today it has over 40 majors, 50 minors, and 29 graduate programs to choose from. With nearly 6,000 students enrolled, you’ll have no trouble making lifelong memories and friends. 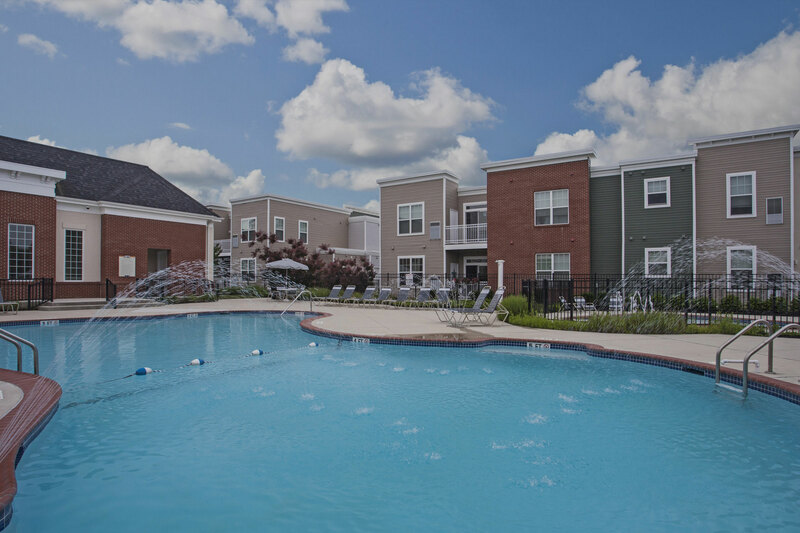 Our apartments near Rutgers University in Camden, are only a 20-minute drive from campus and close to a host of area conveniences for shopping, dining, and more. The Cherry Hill Mall is only six miles from Dwell Cherry Hill Apartments and offers more than 150 stores for you to get lost in. Check out the nearby local breweries: Fly Fish Brewery and Forgotten Boardwalk Brewing for some tastings, tours, and great food. Smashburger and Boyz Subs & Steaks are right around the corner for some quick food to fuel your late-night study sessions. Dunkin’ Donuts is also just down the street from our apartments near Rutgers Camden to get your caffeine fix. Looking for pet-friendly apartments in Cherry Hill? We welcome cats and dogs (restrictions apply). In addition, our community has a variety of convenient amenities like large capacity washers and dryers in every apartment so you won’t need to hoard quarters. Our elegant resident lounge has free Wi-Fi for you to study in as well as a cozy fireplace. Relax by our beautifully landscaped pool and patio area or stroll our grounds when you need a break. Call us today for more information about your new home and to learn more about our apartments near Rutgers Camden.